Tina Fey returned to Weekend Update to talk about Charlottesville and how to cope. 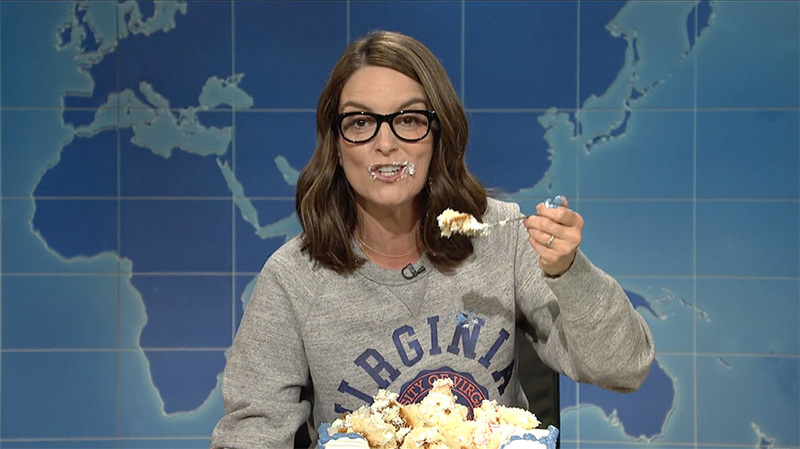 University of Virginia alumna Tina Fey visited the desk of SNL’s Weekend Update: Summer Edition to impart some wisdom. Her coping mechanism, and one she suggests others do this weekend instead of joining up with “screaming matches” that might turn violent across the country, is to essentially eat an entire sheet cake in one sitting. Fey’s segment on the show was peppered with insults slung at both conservatives and the neo-Nazis involved in last week’s violent demonstrations in Charlottesville, Va.
“Who drove the car into the crowd, Hilary’s emails? !” said Fey, after she criticized Ann Coulter’s remarks that antifa attacked Republicans in Berkeley, Calif. Fey also criticized the president’s continued stance that there was violence on “both sides” of Charlottesville. “The ‘other side’ is Nazis and klansmen,” she said. While shoveling cake the entire segment, Fey reminded viewers of the time President Trump previously destroyed historical monuments instead of defending their significance as he urges people not to remove Confederate statues around the country. Her visit ends with a joke about ill-attended movies that have two female lead actresses, as well as a mention of Thomas Jefferson’s behavior towards the slaves he owned. People online have criticized both the ending and her intent of the sketch as tone deaf. "I'm gonna ignore the KKK, and eat cake instead" is an embarrassingly tone deaf attempt at humor. Have several seats, Tina. Others criticized her for encouraging the same people who have likely not shown up to any protests to continue to not show up. 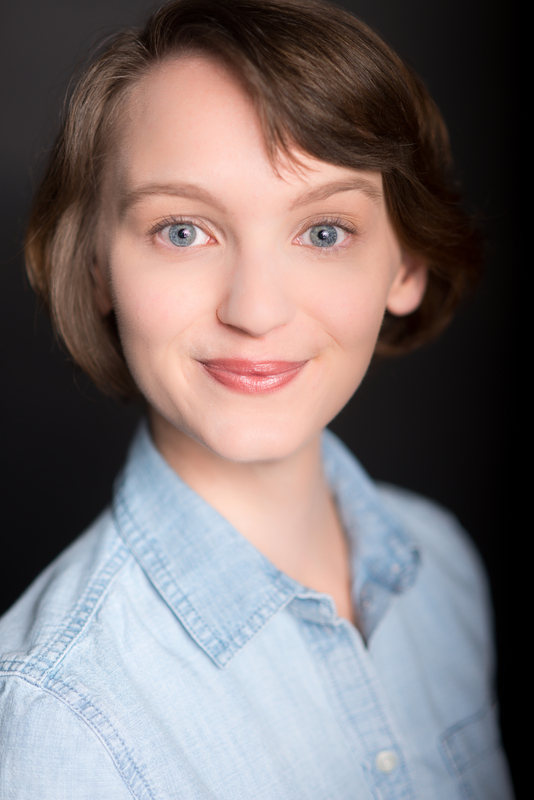 While her “sheetcaking” suggestions may or may not have been meant to be taken literally, as it could have easily been a critique itself of people who swing too far away from action, Fey’s visit to the second episode of Weekend Update: Summer Edition helped the crew through a tough week.